Marcus is a native of Johnson County, Missouri where he has spent the majority of his life. Marcus earned his Bachelors, Masters, and Ed. Specialist’s degrees from the University of Central Missouri. He currently resides in Oak Grove, Missouri with his wife Jennifer and two sons Quentin and Tyler. Marcus is an avid outdoorsman who enjoys bow hunting whitetails, turkeys, and fishing. Marcus, as your agent, will go above and beyond your expectations to provide you with the highest level of service when selling and buying properties. 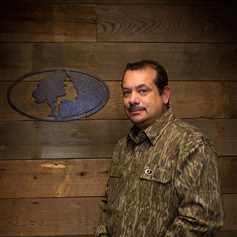 "Mossy Oak Properties has the reputation and the tools to help us be difference makers to our clients. Buyers and sellers need agents with knowledge and expertise they can trust to help them make the best decision." Whether you're buying or selling a small tract of land or looking to invest in a farm, call or come in and visit with Marcus about how he can help you achieve your real estate goals.